There are so many benefits of yoga and meditation, especially when they are done together. Yoga and meditation are important for maintaining the general wellness of your body. It also helps to stimulate body and mind relaxation. Yoga and meditation practices have been there for quite a while with one of the earliest instances of yoga being Hatha yoga which was practiced in the Middle East in the 11th century. The benefits of yoga and meditation such as medical, meditative and spiritual benefits have been cited in numerous studies. Meditation refers to the art of focusing one’s mind. There are 31 types of meditation in popular use today. Meditation can be done on its own or can be combined with yoga. Learning the art of meditation does not involve sitting quietly on a mat each day trying to turn off your feelings or thoughts. Rather learning to silence the mind when practicing meditation is the right way of meditating. According to Wade, the author of “Transformative yoga: Five keys to Unlocking inner bliss” ‘yoga meditation is about making a busy mind quiet.’ He adds that the more an individual silences their thoughts through yoga and meditation, the more they will experience a sense of inner presence. There are different types of yoga. Each has its unique features. It is important to understand the various types of yoga especially if planning to enroll in physically challenging yoga or meditating classes. Their variances will also depend on the teacher. Hatha yoga- Hatha yoga refers to any physical postures that are carried out in yoga. Hatha yoga has several physical practices and is suitable for beginners. This is because it is carried out at a slower pace than other yoga types. It mainly involves breathing and exercises. Kundalini yoga- This yoga type is mainly spiritual and physical. It involves releasing Kundalini energy– a type of energy trapped in the lower spine according to yoga experts. The classes are physically intense and involve fast-moving and invigorating postures combined with breath exercises. Iyengar yoga- This type of yoga pays attention to alignments in addition to lengthy and precise movements. It involves students’ performing on different postures and controlling their breath. It also relies on props to ensure students perfect their poses safely and effectively. Although it does not involve workouts, Iyengar yoga will boost your general well-being and comfortability. It is also suitable for people who have injuries and who like to practice yoga slowly. This is why it is one of the best forms of trauma-sensitive yoga practice. Vinyasa yoga- It is the most athletic of all the yoga types. This type was adapted from the Ashtanga yoga during the 1980s. During these classes, the teachers train on the coordination of movement and breathing to form different poses. The style of Vinyasa yoga largely depends on the trainer. Ashtanga yoga- Ashtanga yoga is the most physically challenging yoga type and is unsuitable for beginners. For you to enjoy this type of yoga, you must be experienced in yoga. It involves a series of salutations and standing postures. The style originates from Ashtanga and also involves floor postures. According to statistics, about 40 million Americans (18% of the population) suffer from different anxieties, but few really seek medical assistance concerning the same. In addition, the ratio of mental health professionals to patients is 1:1000 hence making it hard for most people to get the best medical care. One of the universal benefits of yoga and meditation is that they help with anxiety. According to experts, meditation may help people deal with anxiety issues. There are numerous methods of meditation which one can use. 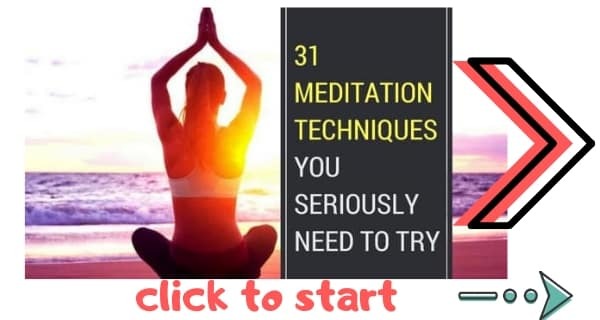 They include the basic beginner’s meditation and Zazen meditation techniques. Here the methods vary and are suitable for different levels of learners like beginners and experts. To determine the effective meditation method for you, it is crucial that you seek advice from your trainer as the choices can be quite overwhelming. Managing stress and anxiety- According to Healthline, doing regular yoga and meditations benefits us by reducing stress in the body. Yoga is a mind-body practice and combines all the physical and psychological aspects of the human body. One excellent benefit of yoga and meditation is that they reduce inflammation caused by stress. Helps to keep fit and flexible– Working in the office for long hour’s increases neck and shoulder strains as a result of the occasional bending or working on different tasks. Yoga works on stretching the body muscles to make them more elastic which helps in daily movements like bending or lifting. An amazing benefits of yoga and meditation is that they help with emotional well-being– Yoga and meditation increases mind concentration and helps the participants to feel relaxed and happy. Helps in the fight against diabetes– Stress is one of the major causes of diabetes and most lifestyle diseases. Yoga and meditation help to reduce stress and hence regular yoga and meditation may help prevent the progression of diabetes and heart diseases. Improve general health– Modern work life is full of stressors ranging from long office hours, job insecurities or even lack sleep. Including yoga and meditation in your life may help you feel calm, healthier and relaxed hence improving the quality of your life. As well as these, you also need to get some items such as the yoga mats. There is a wide variety of yoga mats varying from beginner to expert mats. You should choose a mat based on your level of experience and the type of yoga you would like to undertake. Vicky is a Food & Lifestyle Blogger at AvocadoPesto.com, where she specializes in healthy living and health cooking. She is also a world traveler and has visited over 60 countries. This post really resonates with me. I have been practicing Yoga for more than one and half years and I started understanding the benefits of mediation only after that. Yoga is all about mindfulness and breathing techniques while we try to master different postures, as a result this helps in bringing more focus and awareness of the present moment.